Well here is another stunning example of Justin Trudeau’s entitlement mentality. It turns out that he took what can only be described as illegal gifts while on his illegal vacation but doesn’t want you to know about them. 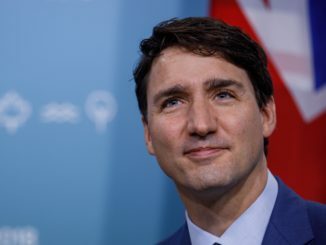 Now the story does a decent job of laying out the problems with the gifts, including that Trudeau should never have taken the gifts….not that he is telling Canadians what those gifts are. 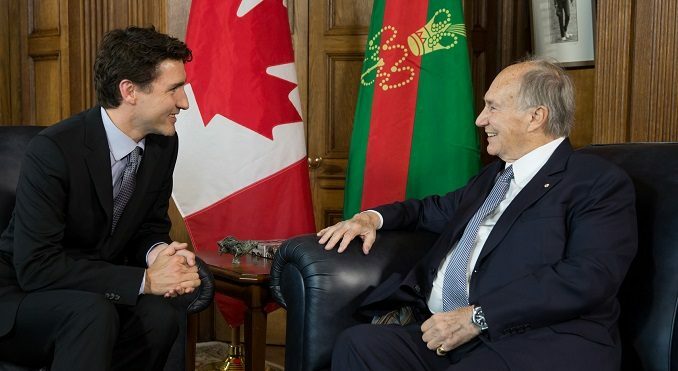 Trudeau’s office says he doesn’t have to tell Canadians about the Christmas gifts he and the Aga Khan exchanged because he told Canada’s ethics commissioner. 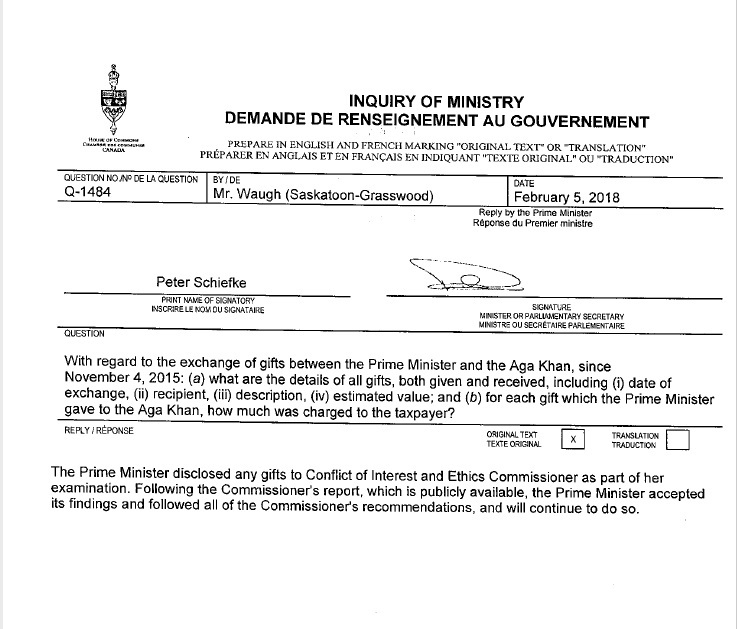 However, the ethics commissioner’s office says information about those gifts won’t be listed in its public registry because Trudeau accepted an unacceptable gift from the Aga Khan. But where the story falls short is in letting the gifts appear to be a simple loophole, no, these gifts that were deemed unacceptable by the Ethics Commissioner and amount to Trudeau breaking the law, violating an act of Parliament. Gifts are allowed under certain circumstances and protocol but that wasn’t the case here, meaning Trudeau broke the law. His supporters will claim these are mere rules violations. Not true, this is the prime minister of the country clearly violating an act of Parliament. His detractors will want him charged and jailed. That won’t happen because this is not a criminal code violation. And here is where the act falls short and perhaps “loophole” becomes the right word, there is no punishment for Trudeau breaking the law. So essentially Trudeau gets off without even a slap on the wrist. As reporter Elizabeth Thompson notes, she asked the Aga Khan about his gifts to Trudeau and was told to contact Trudeau’s office. Trudeau’s office told Thompson to contact the Ethics Commissioner and of course the Ethics Commissioner cannot comment on anything outside of her report. Trudeau and his office know this and that is why they simply repeat over and over again that any questions need to go to the Ethics Commissioner. 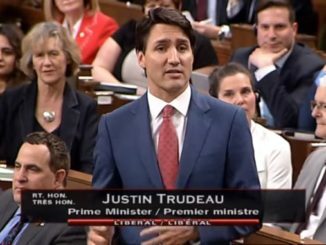 Even when Conservative MP Kevin Waugh asked about the gifts via an Order Paper Question, Trudeau refused to answer any questions. An Order Paper Question is supposed to be an official way for any MP to ask for information from the government and the answers are supposed to be made without spin. Trudeau’s office has ditched those rules and traditions in favour politicizing this very important Parliamentary tool. As I write this, Trudeau is standing in the House and refusing to answer questions from the NDP on this very file, saying he does not need to tell anything to our elected officials gathered in the House of Commons because he spoke in private with the Ethics Commissioner. Here is the Order Paper Question mentioned above.